West Lawn United Methodist Church recently hired me to take their existing website to a completely new level. 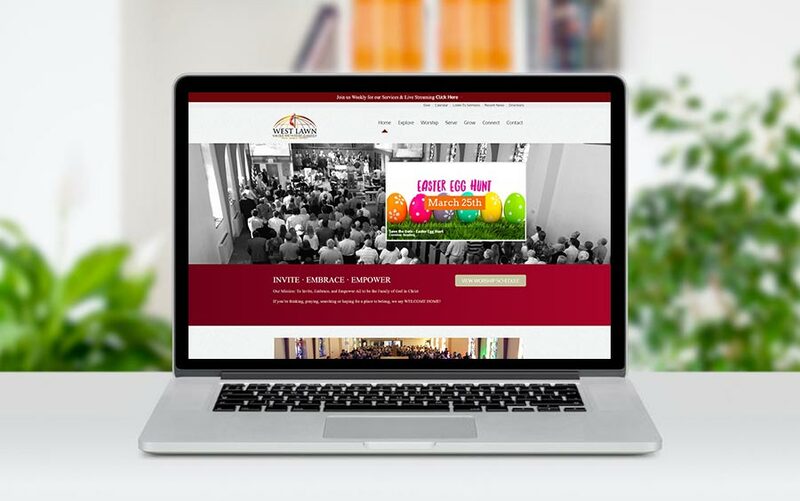 Recognizing the advantages of today’s technology, the church has completely revamped and modernized their site, and plan to use it as the hub for communication with it’s members. They were looking for a website that would allow them to take advantage of social media like Facebook, Twitter, and also utilize a more efficient calendar system along with a way to offer MP3’s of their weekly sermons. Besides using social media more effectively, one of the main features of the new website is indeed the sermons page where they can keep an archive of their recent sermons. Website visitors can listen to their favorite sermon from home, and also they have the choice to download the mp3 to listen to at their convenience. The site is really set up to grow as well, with many more features that can be added in the future. It was a fun project, and Kelly and the rest of the team at the church were an absolute pleasure to work with to accomplish the site. We were looking to upgrade our website, raise the bar for social media, and be able to launch sermons online. You delivered! We love the website, and more importantly, our members love it.